Everyone has a favorite candy bar, the one you remember from when you were a child or that one bite of a bar where no other compares. What we often forget is just how many different types of chocolate bars are on the market and nothing outs it into perspective quite like this kaleidoscope of candy from Pop Chart Labs. 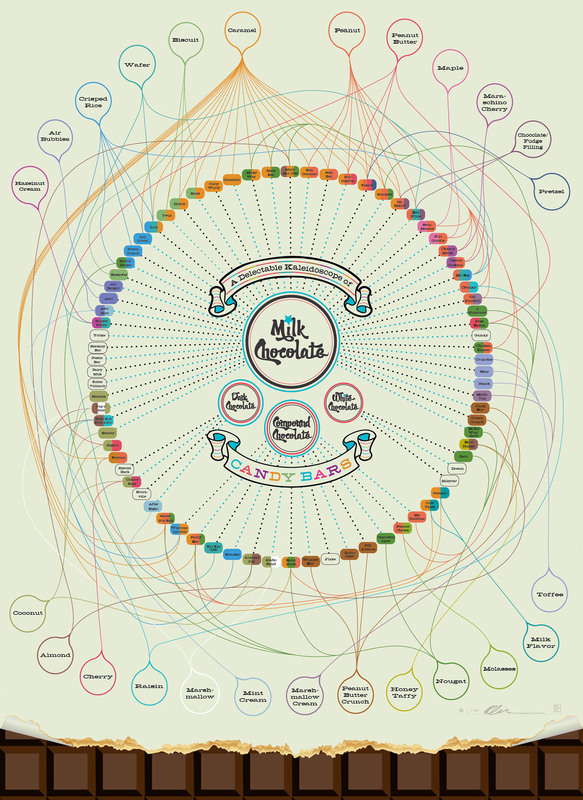 Described as a visual taxonomy of every chocolate candy the infographic sets out a mammoth list of different bars and divides them by their key ingredients. It's an interesting visualization of a market place that many people do not realize the scale of.